An LLC tax election is the decision you make to determine how your LLC is taxed. An LLC is a unique business structure called a limited liability company, but the IRS Code has not given the LLC a unique taxation section. So how is the LLC to be taxed? It is taxed by something called an LLC tax election. Most business entities such as corporations and partnerships have their own tax structures under the tax code. However, an LLC does not have its own tax structure under the IRS code. When it was first created in Wyoming, the legislature asked the IRS how they wanted it taxed. 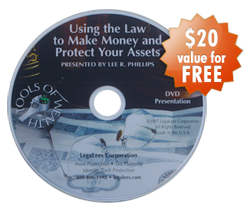 The LLC is not a Partnership; it is organized as a defective corporation. As a result, the IRS didn’t know whether or not to tax it as a partnership or a corporation. In a partnership, the tax code directs the partners to divide the profits and losses based on their percentage ownership of the partnership. The company then gives all of the partners a K-1 form telling them what their share of the profit or loss is. The partners then pay taxes on the gain. The IRS Code gives corporations two separate tax choices. A corporation can be taxed under subchapter C of the IRS code or it can be taxed under subchapter S of the IRS code. Owners get to choose which code section they want to be taxed under. Generally, corporations like IBM, Bank of America, and all the big boys chose to be taxed under subchapter C of the IRS Code. Under this subchapter C, the corporation pays its own taxes directly to the IRS. The owners then pay taxes on their wages. Smaller corporations chose to be taxes under subchapter S of the tax code. Under subchapter S the corporation is taxed like a partnership would be taxed. The S corporation has to file a tax return, but then the actual earnings or losses “pass through” on a K-1 to the owners of the corporation. The profits are actually “recognized” by the owners pro-rata based on their ownership interests. So what should the LLC owner do? If the owner does nothing and there is only one owner, the LLC will be taxed as a sole proprietorship. If there is more than one owner, it can be taxed as a partnership. The LLC owner can make an LLC tax election to have the LLC taxed as a corporation (either C or S). To make an LLC tax election the owner simply must file the appropriate papers with the IRS. What’s the bottom line? The LLC owner can choose how the LLC is taxed. The LLC Wizard has a LCC decision chart and audio instructions to help someone make the proper IRS election. No matter what LLC tax election is picked, the LLC will have the same asset protection strength, and will operate the same. There is no such thing as a limited liability partnership, or a limited liability corporation. There is only a limited liability company taxed as either a partnership or corporation. An important thing to remember is that your little company is your best tax saver. 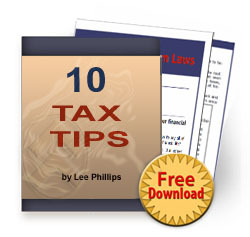 If you are interested in saving taxes, look at my 10 Tax Tips. I hope this information is helpful. I’m a Real Estate Agent with Earned income from commissions and payments for services but I also own a house with my husband that is a rental property. My husband is not a member of the LLC but my son is with a 20% ownership. Which option should I choose for taxation? S-Corp or Partnership? The ideal situation is to have your real estate business as an S Corp and your rental property in a separate business as a partnership. If you are going to own everything in one business you would want to talk to an accountant who can determine which is better based on your particular circumstances. First of all, all of your videos are fantastic. I couldnt find your contact email, hence writing to you here. I am planning to start a Delaware LLC, and before doing so would like to know what taxes I will have to pay at Federal and State level (or any other taxes/fees etc within the US for that matter). I am a US non-resident alien, providing services/products to clientele outside the U.S (mostly within the CIS region). My main business, at this point, is making and selling websites, providing email marketing services, online commerce, logo making, general branding and other related services. I use online services like Wix.com (Israeli company), Gmail (a US company) and Madmimi.com (a US company) to provide my services/products, and am not sure if that would constitute a US source of income and be taxable. Will I have to pay taxes in the US? What tax election would you recommend for my LLC? If you don’t live in the US and you don’t make your money in the US then you don’t need to pay taxes in the US. Forming an LLC in the US will just make it so you do have to pay taxes here. If you form an LLC in Deleware you will pay taxes in the US because your LLC will be considered to do business in the US. You won’t have much of a choice for tax election. You have to be a US citizen or Resident Alien to be a S-Corp so your only options are sole proprietor if you are a single member LLC or partnership if you are a multi-member LLC. I am planning to register an LLC in Delaware. Am not a resident of US. Basically am a full time day trader. Am forming the LLC to do the same (futures trading). I will be the single owner in the LLC. I will be making money through Futures Trading in commodities and Equity Index like the S&P 500. My question is – How much will I be taxed or my LLC will be taxed if I make a profit of say $1 Million in a year? And lets say if I make more? Like $25-$30 Million per annum, how much tax my LLC has to pay? Please advice. Since a LLC in most cases is a pass through entity, the taxes would be the same if you had an LLC or didn’t have an LLC. Whatever your personal tax rate is will be the tax rate you pay for money made in the LLC. What is the tax slab? For LLC’s? Like Short Term Capital gains? There is no tax slab for an LLC. With an LLC you pick how you want it taxed. You can have it taxed as a disregarded entity, partnership, S-Corp, or C-Corp. Depending on which way you have it taxed you pay a different rate. I want my LLC to be taxed as a disregarded entity. What if my short term capital gains are $10 million a year? How much tax am suppose to pay on $10 Million? If it is short term (less then a year) the capital gains tax rate is the same as your personal tax rate. If it is long term (more than a year) then the capital gains tax rate maxes out at 20%. Hi, I formed LLC IN DELAWARE ON May 23,2018 AS ALIAN. I APPLIED for EIN YESTERDAY. I AM NOT US CITIZEN AND WILL OPERATE LLC FROM INDIA. I will send goods from India. 1) Am I required pay tax? 2) am I required to file any details to IRS yearly / quarterly ? If yes ! Am I required any agent or tax expert ? If you are making money in the US then you will have to file a tax return in the US. You will have to file at least yearly. You don’t have to hire an agent or tax expert but it may be helpful if you are not familiar with how to file US taxes. Hi Lee, I bought your Operating Agreement and I would like your opinion if I should organize as a Individual LLC or Multi LLC or S-Corp. I am an Licensed Insurance Producer in Michigan, married, empty nester. I an also licensed in Florida. I can’t really advise, but I would use an LLC and if my income is selling goods or services, I would elect to have my LLC taxed under Subchapter S of the IRS Code.